In the National Institute of Ocean Technology, applications for recruitment of vacant posts of Scientist-F (Electricity) are invited. The interested candidates can apply before the last date by following the instructions given. Educational Qualifications – Bachelor’s degree in Electrical / Electrical and Electronics Engineering or Technology in relevant subject from a recognized university or its equivalent with qualifying degree level in First Class (60% marks). Apply soon – 1 vacant posts of Scientist-F (Electricity) are invited. The interested candidates can apply before the last date by following the instructions given. 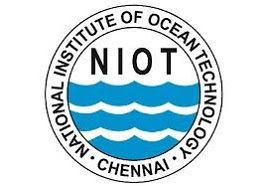 The National Institute of Ocean Technology (NIOT) was established in November 1993 as an autonomous society under the Ministry of Earth Sciences, Government of India. NIOT is managed by a Governing Council and the Director is the head of the Institute. The major aim of starting NIOT under the Ministry of Earth Sciences, is to develop reliable indigenous technology to solve the various engineering problems associated with harvesting of non-living and living resources in the Indian Exclusive Economic Zone (EEZ), which is about two-thirds of the land area of India.